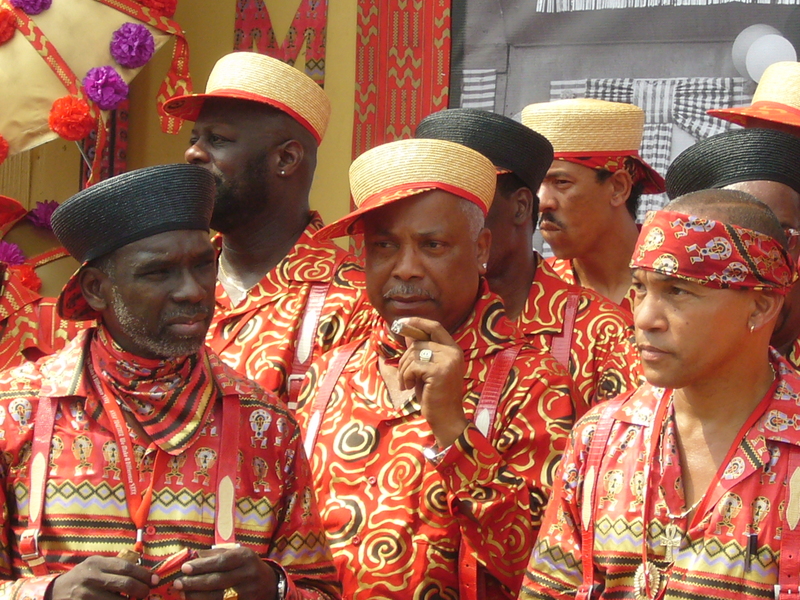 Fred Johnson (right, foreground) before the Black Men of Labor parade in 2006. Photo © Matt Sakakeeny. Fred Johnson is a lifelong resident of and community activist in New Orleans, a former Spy Boy with Tootie Montana’s Yellow Pocahontas Mardi Gras Indian tribe and a member of the Tambourine & Fan club. In 1993, he worked with Gregg Stafford to host a traditional jazz funeral for Danny Barker. While Stafford hired the musicians and dealt with repertoire, Johnson was responsible for finding parade marshals and oversaw the visual aesthetics of Barker’s funeral parade. Johnson insisted on traditional dress for the marshals, and, along with Stafford, respectable conduct for parade participants. Johnson continued working with Stafford and Benny Jones in the years following Barker’s funeral to run the Black Men of Labor Club, which continues to parade every Labor Day weekend. Black Men of Labor stressed traditional music and dress, and parades on Sunday of Labor Day weekend. Been a long time since Katrina but I think about my people from New Orleans all the time. I pray that the people that want to get back to New Orleans get to go back home. I pray that somehow someway New Orleans gets back to pre Katrina.